At the start of May I'm heading off to Barcelona with the girls for a few days of sight seeing, wine guzzling and Sephora haulin'. But right now I'm spending all my time worrying about what to pack. I'm a big heavy boots and black clothes kinda gal so a few days in what could be heat-wave central could be a bit of a shock to my system. I've been pouring over House Of Fraser a lot recently. Y'see, I was very lucky to win a gift card from the lovely "Just me, Leah", If you don't know her, you really need to check her out. She's a babe! So, yes... I've been pouring over HoF a lot trying to find something suitable to get spendy on and I've narrowed my choices down to but a few. 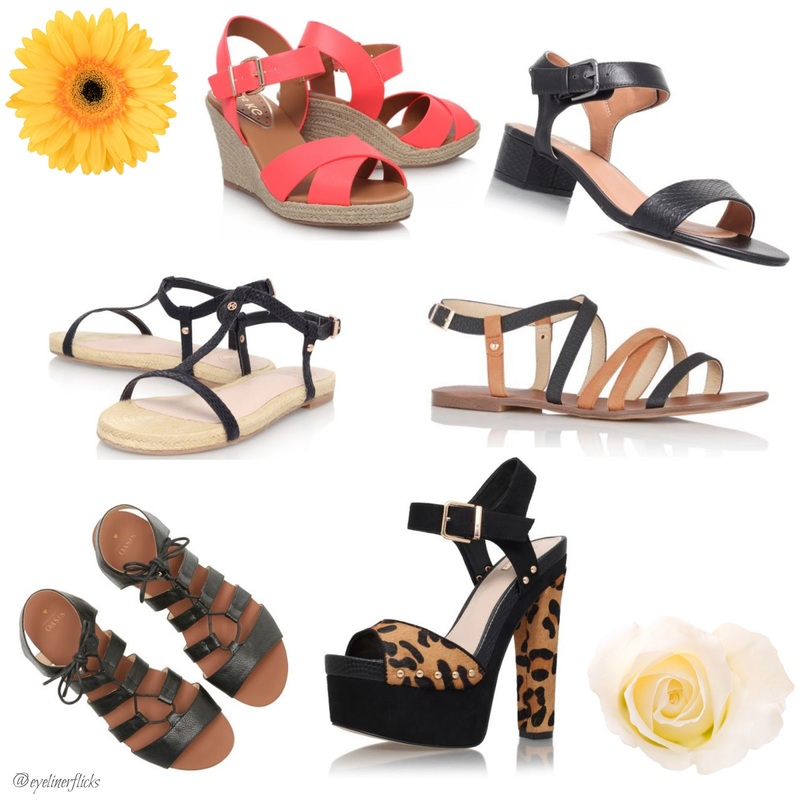 I've never been a fan of those thong style sandals, they just don't do it for me but I've managed to find a whole load of goodies that'd do me nicely while away and even better, they're all below £30.00!! !